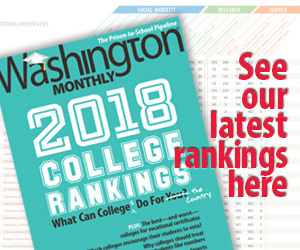 Washington Monthly | Who has the August edge? Who has the August edge? WHO HAS THE AUGUST EDGE?…. With hopes for a pre-recess vote on health care reform dashed, the lobbying of key lawmakers in August is going to get pretty intense. Opponents of reform are hoping to use the recess to raise doubts, disseminate propaganda, scare the bejusus out of people, and kill the bill. Proponents of reform are hoping to convince wavering lawmakers that reform isn’t just necessary, it’s also popular. May the better argument win. Oh, who am I kidding? This has nothing to do with the better argument, and everything to do with a campaign-style ground game. If on-the-fence, persuadable lawmakers head home and face a flood of pressure from constituents and local media — in one direction or the other — it’s very likely to affect on the outcome. In an election, GOTV efforts are focused on a specific day. In a month-long lobbying campaign, it’s more of a challenge to maintain intensity, focus, and discipline. With the recess nearly here, who has the better ground game? It seems reformers have the edge. Conversations with leaders on both sides, and a measure of the early activity … suggest that the White House will maintain its advantage in money and organization. That spending has already begun, and its level is unprecedented, experts say, both in sheer volume and balance. According to data from the Campaign Media and Analysis Group, most of the ad spending this year has been to support initiatives pushed by Obama and his Democratic allies in Congress. “That has almost never been the case in any administration,” said Evan Tracey, CMAG’s chief operating officer. This is not to say the right won’t be fully engaged. The RNC committed today to spending $1 million over the next month to help kill health care reform, and allied groups and far-right leaders will be just as engaged. But supporters of reform, at a minimum, seem to have the infrastructure in place to lean heavily on lawmakers in support of this rare opportunity. It’s also poised to be a real test for Organizing for America, the DNC-backed outgrowth of the Obama campaign, in what may prove to be the outfit’s chance to show what it’s made of. I guess we’ll find out fairly soon. If your senator and/or House member may go either way on reform, don’t be afraid to weigh in. I guarantee you won’t be alone.